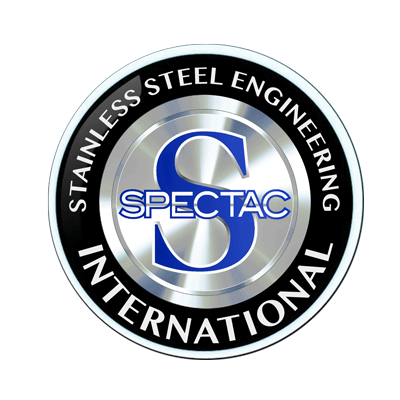 When it comes to using pharmaceutical mixing vessels, at Spectac International the objectives are beyond mixing a simple combination of raw ingredients. Mixing equipment employed in the production of pharmaceuticals and medical devices are more specialised and therefore deal with a higher level of complexity. Facilitating heat transfer, carrying out chemical reactions, preparing fine emulsions, dissolving components, and reducing particle size are just some of the objectives of using pharmaceutical mixing vessels, and this can be carried out by using a variety of sophisticated techniques. Pharmaceutical mixing vessels are a deciding influence on the finished product, so the proper mixing technique and operation are of paramount importance. 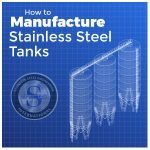 Let’s look at some of the techniques used for pharmaceutical mixing vessels. A technique used in preparing pharmaceutical products and intermediates. Static mixing involves external pumps moving the fluids through the vessel and there are no moving parts inside the tank. A dry blending technique is used to combine an active ingredient, additives, filler and binder and several types of blenders can accomplish this. The Ribbon, Vertical, and Tumble Blenders are the three main types of techniques used for pharmaceutical mixing vessels. This is a commonly used procedure in preparation of emulsions like eye drops and lotions for example. A high shear mixer is made up of a stationary stator that has a rotor turning at high speed. This involves maximising the speed of a mixer to provide optimal results in size reduction. When it comes to using pharmaceutical mixing vessels, a common mixing mistake is under-processing. It is vital to ensure there is enough speed to give the best possible product. These are just some of the mixing techniques that can be used with pharmaceutical mixing vessels. Depending on the desired product properties, the mixing techniques can be sophisticated, and the process is often turned into a multi-stage processing capability. Pharmaceutical mixing vessels produced by Spectac International are all manufactured to order. They are manufactured to specific customer requirements and CAD drawings are used to ensure all specifications are met. 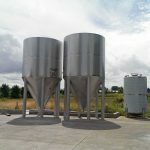 Our engineers are very experienced in producing high quality mixing tanks made to the standards required by the pharmaceutical and chemical industries. For more information on our products, visit our website here.